There are many quality skin care products to choose from today. 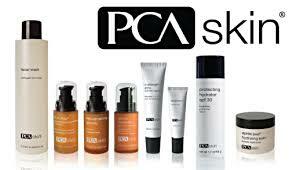 We have chosen PCA Skin products for both our in office skin care treatments and home products. PCA Skin is a trusted industry leader in the development of gentle, yet effective professional treatments and daily care products. Available only through licensed healthcare professionals, these medical grade products are scientifically formulated to address specific skin care needs. Made with high quality, all natural ingredients, the PCA Skin line of products include cleansers, face creams, therapeutic masks, retinoid treatments, chemical peels and other beauty products to help nourish, hydrate and rejuvenate a variety of skin types and conditions. We'll work with you to customize a skin care plan personalized for your skin. Your recommended PCA Skin products can be ordered directly through us and will be shipped directly to you or can be arranged to be picked up at your next appointment. 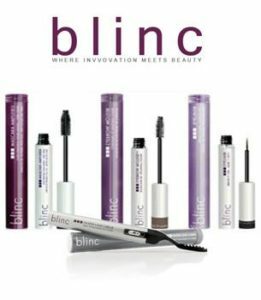 Blinc is a luxury brand of cosmetics focused exclusively on the eyes. The popular eye makeup offers easy application, lifeproof hold and effortless removal. Discover a range of unique products for every skin and lash type that are proven to perform to the highest standard.